If you’d read my review of Lady Antebellum’s Own The Night World Tour Blu-ray you’d know how much I liked it and was therefore really excited about the new album from the band; Golden , of which I was lucky enough to receive a review copy of. On the first couple of listens I liked what I heard – a summery sound with more of the vocal solos seemingly going to Hillary rather than Charles, at least on the first half of the album anyway. This was certainly to my liking, especially after the Charles dominated performances on the aforementioned Blu-ray. However, when I listened out more for the lyrics, that’s when it began to unravel and the album started to lose some appeal. Of the 12 songs on this 4th album from Lady Antebellum, 11 of them are about relationships. It’s the same criticism I had of the latest Brad Paisley album Wheelhouse, but at least he did it in a variety of ways and with some humour too. There are the positive songs such as Can’t Stand The Rain and Golden, the latter being the kind of ballad that Charles has become famous for. However, there are others like Better Off Now (That You’re Gone), Goodbye Town and It Ain’t Pretty which dwell on relationships of days gone by. It Ain’t Pretty shows off a great stripped down and vulnerable vocal from Hillary, but I find it hard to relate to someone talking about kissing boys in clubs, and there in lies the problem. Listening to this album I really felt like I was the wrong demographic and not the target audience for Golden. As a married man with a son, mortgage, job and all the usual trappings of being a responsible grown up, I found the subjects addressed by the songs on Golden to be, well, trivial. Maybe I’m just lucky to have never found myself thinking about an old flame or memories of the times we had together. Maybe if I’d spent more time reflecting on such times the songs would resonate more, but I didn’t, and they don’t. The one song that doesn’t address relationship issues is Generation Away, and not just because of the subject matter it’s by far my favourite track on the album. This last track on Golden is the only one that doesn’t feel like it’s sitting in a Lady Antebellum Safe Zone, and I wish they’d not waited until the end of the album to mix things up a bit. Okay, maybe that’s a bit harsh as Downtown is a more funky sound than we’ve heard before, and the relationship chat isn’t as blatant as in other songs. 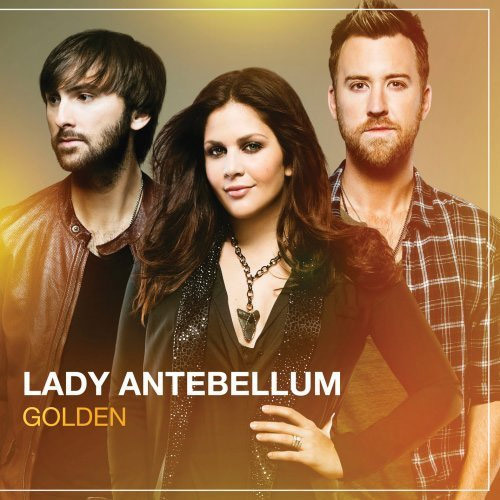 Golden is another step away from Nashville and a few more towards mainstream pop for Lady Antebellum. While vocals are never a problem, their choice of subject matter is, as they seem determined to share the market currently dominated by Taylor Swift. This album lacks any kind of edge and none of the songs have a wow factor like their 2010 hit Hello World. Maybe they’ve always been a teen targeted pop band, but Golden certainly solidifies that intent. It’s an album that needs more variety and spirit, no mater who they want as their audience. I was sent a copy of Golden but was under no obligation to review it.